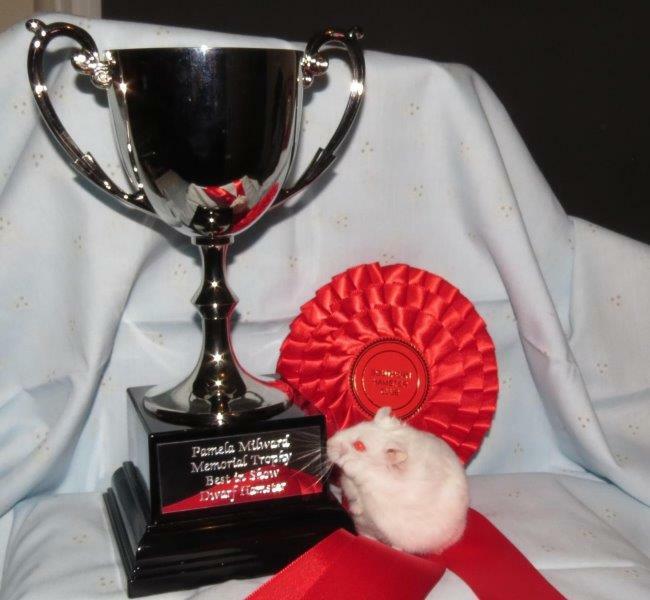 At some point in late 2016/early 2017 the club decided to name the annual Dawlish show after Pamela Milward, a lady who has contributed a lot to the Southern Hamster Club in the past. Pamela was a schoolteacher and ‘Brown Owl’ in Dawlish and she is, no doubt remembered fondly by residents of the town. Showing under the prefix of ‘Stonelands’, Pamela was a judge of both Syrians and Dwarfs and was pleased to be asked to judge in Holland too. A former SHC club secretary, Pamela did a lot of promotion for the SHC and always took the time to welcome new members. I never knew Pamela myself but I have been told that she was a lovely person to know so it seemed only fitting that the SHC decided to name this show in her memory. The first winner of the Pamela Millward Memorial Trophy for the Dwarf Section. 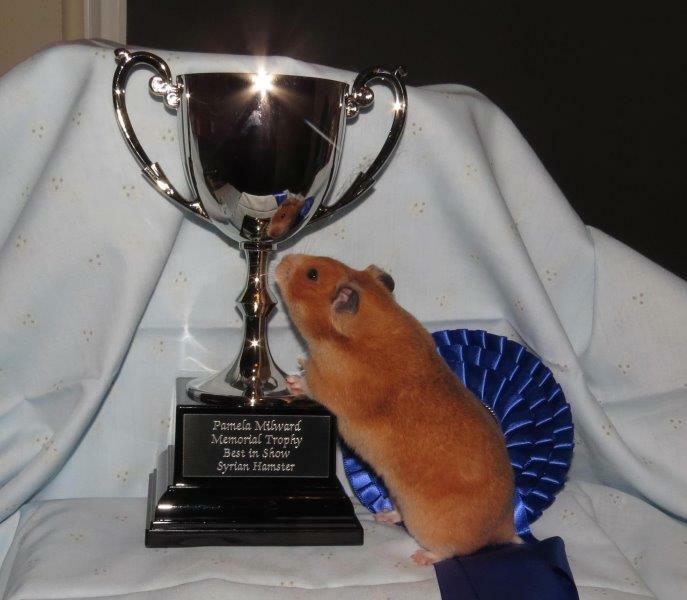 In 2019, the SHC Committee decided that as an additional tribute to Pamela, we would purchase two trophies to be awarded to the Best in Show winners of both sections which would be called the ‘Pamela Milward Memorial Trophy’. The first recipients of this honour prizes was Tristar who won both sections with a beautiful Short Haired Yellow Syrian and a handsome Albino Campbells Dwarf. Both hamsters also recieved Certificates of Merit and now have enough for their Grand Champion status. Tristar say that it was lovely for these hamsters to win their grand Champion status at this show as Pamela was such a great influence when they started showing and breeding.